Nice overall cosmetic condition as seen in pictures 1 - 6. Works Great / Tested as seen in pictures 1 & 7 - 12. The VCR heads have been cleaned & demagnetized with the laser lens cleaned & realigned as seen in picture 12. 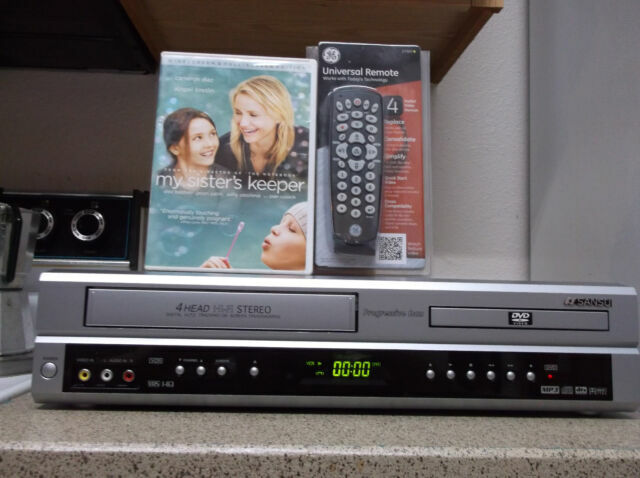 Bought this unit to watch our old VHS movies but the VHS image quality is TERRIBLE. Bought a new cleaning tape but it did little to improve the image. The DVD still works well but that really isn't why I bought the player. I don't think the seller really checked it out as claimed. Like the way the remote fits the picture on a CRT screen. had a problem with the dvd player. Tracking was digitizing. Vhs plays good. Initially OK, worked effectively out of the box. DVD drawer drive failed after third use. VCR drive still works OK. Nothing worked on it. No lights came on. Had to pay to return.